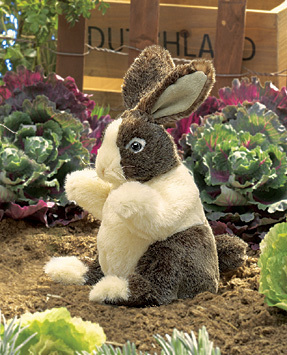 A baby dutch rabbit to add to your rabbit hutch. Who could resist those big brown eyes? Measures 7".